"Your will be done on earth as it is in heaven." Jesus taught us to pray for the day that the LORD would be The recognized King over all the earth. We look forward to that, because our faith will be shown true and the LORD himself will be glorified as he should be. 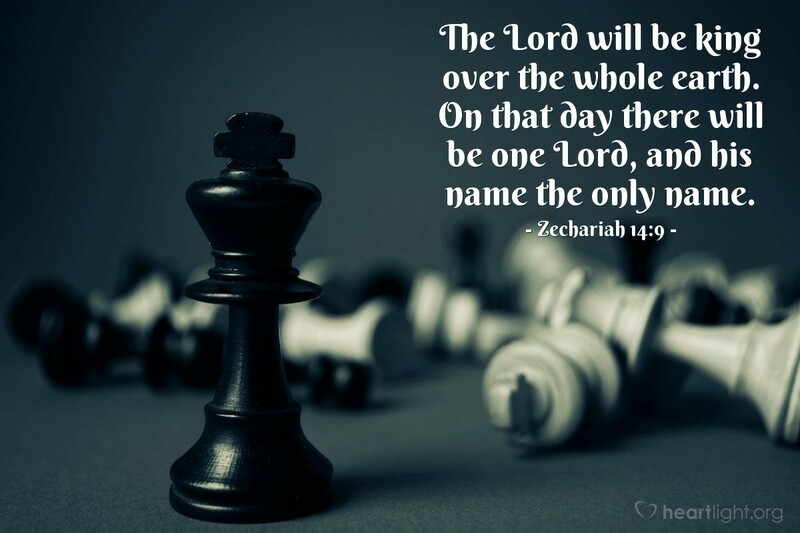 In a world of profanity, a world where God's name is blasphemed, every knee will bow and every tongue confess that he is not only LORD Yahweh, but he is also incomparable without rival, that his name is the only name worthy of reverence, honor, and praise. Great Almighty LORD, work to bring yourself glory, not only in me, but in your people, and in our time of history. With all my heart I pray for your name to be reverenced in all the earth. Do mighty works that show your control and sovereignty to help your people bring others to call on your name and to praise your grace. In Jesus' holy and precious name I pray. Amen.